Kiribati consists of about 30 coral islands and atolls in the South Western Pacific Ocean. The islands are believed to have been first spotted by Spanish mutineers in 1537, and became a British Protectorate in 1892, along with the Ellice Islands. Their status was later changed to a Colony. In 1976 the Ellice Islands split to become Tuvalu, and in 1979 The Gilbert Islands, together with the Phoenix Islands, and the Line Islands became independent, and at the same time changed their name to Kiribati. The capital is Bairiki on Tarawa Island, although by far the largest island is Christmas Island. 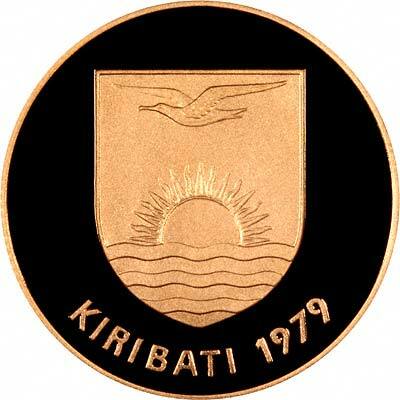 In 1976 Kiribati issued its own coins for the first time, and has also issued a number of commemorative coins including gold. The obverse of all Kiribati coins bears its coat of arms, a shield with a frigate bird flying above a sunset at sea. Minimalists would appreciate the simple beauty of this design as interpreted on the coins by the engraver Mike Hibbert. 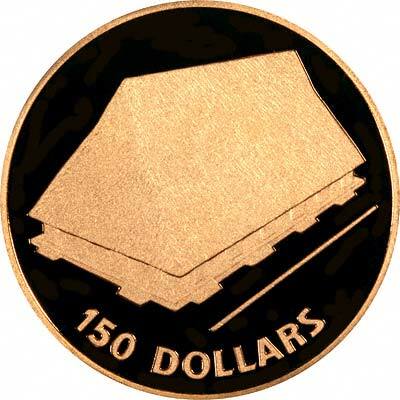 Likewise the reverse design of the gold $150 coin issued for independence shows a a clean simple design of a Maneaba, a traditional village meeting house. Links with Samoa - Or is it a Split? In 1998, Kiribati and Samoa, which was previously known as Western Samoa, jointly issued a two-part coin. 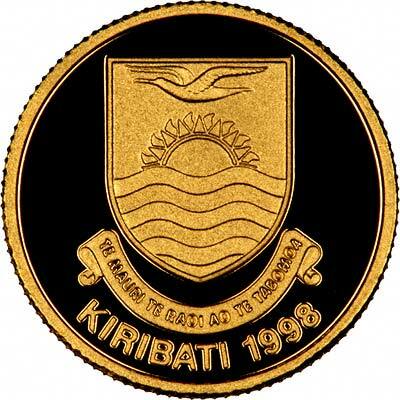 For silver and base metal coins of Kiribati, please look at our original Chard Coins website. 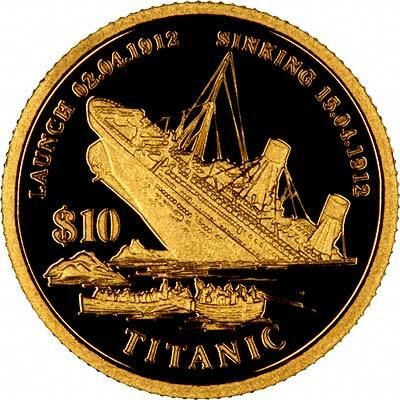 We make an active market in almost all world coins, gold or otherwise, including Kiribati gold coins. If you have any of these coins to sell, please contact us, or post them to us for appraisal and offer.